The wireless connectivity of IDrive Wi-Fi device helps you to effortlessly backup multiple devices at once via IDrive's desktop application. Log in to IDrive account with your username and password. 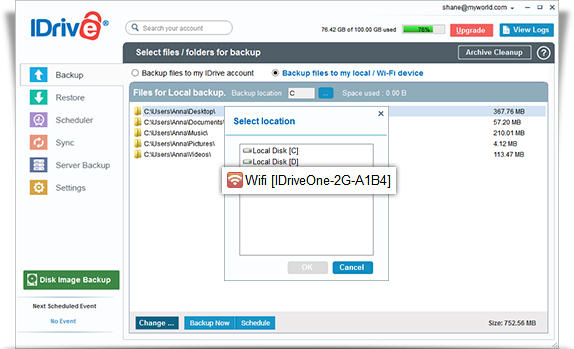 Click and select IDrive Wi-Fi device to backup your data to the drive. Login to IDrive account with your username and password. From the 'Select files/folders for restore' drop-down menu, select IDrive Wi-Fi. 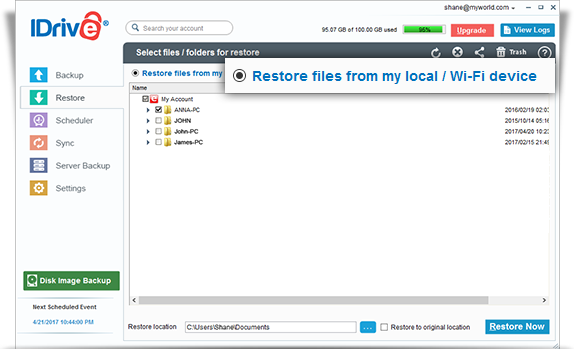 Select the file(s)/folder(s) to be restored and click 'Restore Now'. Note: Sometimes, the files you back up to the IDrive Wi-Fi device may not appear due to intermittent issues. 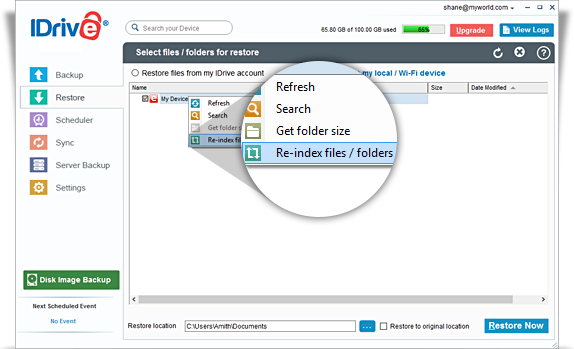 Use re-indexing to view your files – just right-click the root-folder (for PC) or right-click anywhere in the Restore View section (for Mac), and click 'Re-index files / folders'.